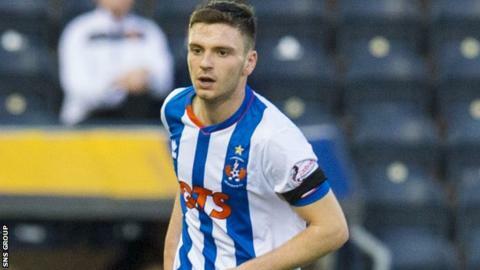 Hibernian have enquired about the availability of Kilmarnock's teenage midfielder Greg Kiltie. The 18-year-old, who is out of contract this month, has been offered new terms and the Rugby Park club remain in talks with his representative. Kiltie has made 22 appearances for the Scottish Premiership side this season, scoring twice. He scored twice for the Ayrshire club last term after a brief loan spell at Queen of the South. Speaking to BBC Scotland in November, Killie manager Gary Locke expressed the view that Kiltie should stay and continue his development. "The best thing for him at the moment is to play first team football with Kilmarnock," he said. Hibernian are currently third in the Championship, three points behind leaders Rangers.